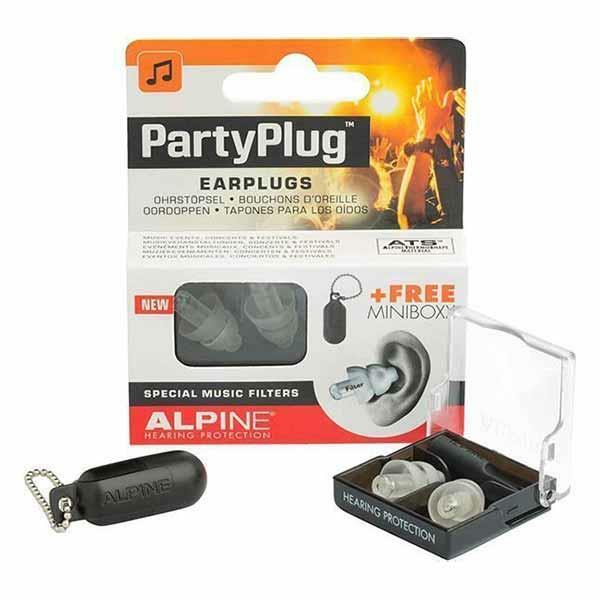 Alpine PartyPlug Earplugs Special Music prevents ringing and peeping in the ears. These reusable earplugs protect up to 25 dB noise while ensuring that conversations can still be heard. The Alpine Acoustic Filters ensure that the music quality is not effected and they are extremely comfortable due to the Alpine Thermo Shape and soft filters. The Miniboxx allows you to take the earplugs with you.